In the general context of welfare reforms in western economies, many actions concerning the rationalization of local administrative structures have been undertaken. In particular, in Italy a recent debate has been addressed about the reduction of the overall number of provinces and the rearrangement of their borders. As provinces are responsible of providing some essential services to the population within their boundaries, any possible scenario should combine the need for more efficient territorial configurations with the safeguard of the services’ accessibility. From a methodological point of view, such problem involves aspects from both facility location and districting problems. 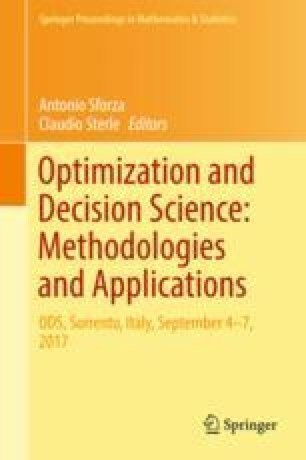 In this work, we formulate a mathematical model to support the decision making process and we compare scenarios provided on four benchmark problems, built on the real data associated to the most representative Italian regions.